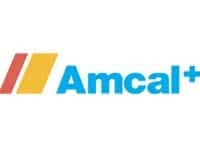 Amcal.com.au is an online pharmacy in Australia. It sells a plethora of medicines, health and wellbeing products, vitamins and supplements, skincare and beauty products, essentials for mothers and babies, household and grooming products. Amcal covers everything from diet and weight loss to food and nutrition, medical aids and equipment to sexual health. Some of the featured brands on the site are Optifast, Sustagen, Omron, Futuro, Nicorette and Musashi. Shoppers can buy online and get the goods delivered for free if the orders are worth more than $89. The website offers a click & collect service as well. Signing up for their newsletters enables customers to get 10% discount.